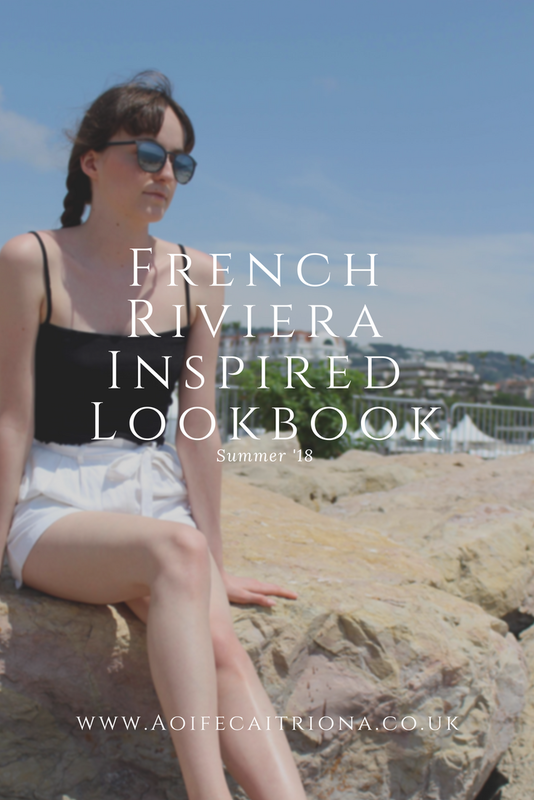 Welcome to my French Riviera Inspired Lookbook! The French Riviera is a magical coastline with sparkly rich blue seas and an aura of wealth. One of my favourite things about going on holiday is piecing together looks that are influenced by the local culture. Harper's Bazaar describes the French coastline's style as "somewhere between nautical and Parisian chic." Here is my take. This is my favourite look from the whole trip! Mostly because I feel it captures the essence of the French Riviera more than the other outfits did. 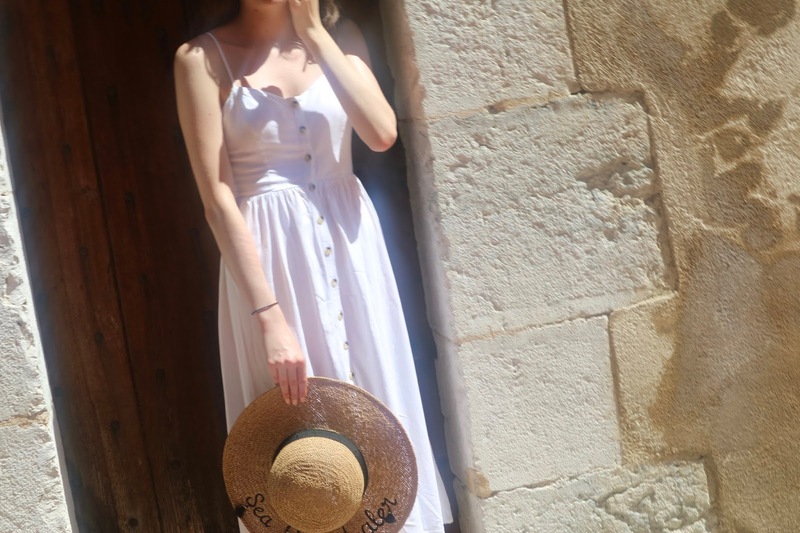 I wore it whilst visiting the beautiful town of Cannes and felt very chic walking around. I love the simplicity of the black crop top with it's the straight neckline. The linen shorts add a nautical feel to the outfit, blending in to the heavy yacht scene along the blue coast. This is the kind of outift I picture when I imagine myself cycling along the promenade; shorts and a cute top. Although it can be a little fiddly, I love this wrap top. The frills on the sleeves and the long wrap belt add a sense of youth to the outfit that is emphasised by the large floppy hat. And everyone looks cute in a good pair of shorts. When exploring any place you need to wear something comfy and practical but that doesn't mean you have to skip on style. Exploring cities are easier to dress for as you don't have to worry about mud and dirt. I really like this top as it has tie shoulder straps and a peplum bottom. It's cute, easy to pair with and the smocking detail at the top means a bra is not necessary. A nice change from being squashed into a bikini. You can never go wrong with a plain white dress. I wore this whilst visiting Monaco and simplicity (in fashion) is key over there. The buttons down the middle add a little character to the dress and allow you to play with the style, such as leaving the last few buttons open to create a slit in the dress. I paired it with my straw floppy hat from Accessorize and my brown gladiator sandals from New Look. I also filmed a Lookbook which I'd love for you to check out! Watch it here.